A new video in Micromeritics ongoing educational series has been posted to Micromeritics YouTube channel. This short video describes the advantages and explores the operation of Particulate Systems PID Microactivity-Reference Reactor, the most advanced modular microreactor laboratory system in the world for measuring the activity and selectivity of catalysts. 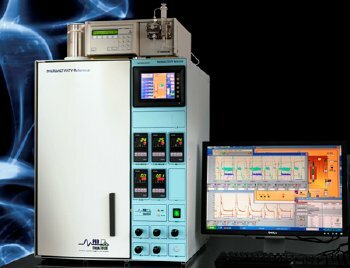 The standard Microactivity-Reference platform can be easily adapted to the users' catalytic testing needs with a variety of configurations and options. This completely automated, compact system has been designed to save time and resources at both the catalyst development stage and factory report process during catalyst screening. It can accommodate a wide variety of reactions including hydrocracking, hydrotreating, isomerization, hydrogenation, hydrodesulphurization (HDS), oxidation, hydrodenitrogenation (HDN), polymerization, reforming (aromatization), steam reforming, to name a few. Micromeritics ongoing series of short educational videos covers various material characterization topics of interest to scientists, researchers, and laboratory technicians, both academic and industrial. View this video below or visit Micromeritics YouTube channel for additional Micromeritics' educational videos.